Pizza that’s been left in the fridge undergoes a process similar to that of a (perfectly adequate) caterpillar metamorphosing into a (shockingly delicious) butterfly: It radically transforms within its protective casing, eventually emerging as a new, improved, even more desirable beast. First and foremost, pizza is made up of many aromatic ingredients — garlic, onion, peppers and herbs — that benefit from time spent in the fridge. “Aromatic ingredients tend to undergo a larger number of reactions that produce flavor and aroma compounds,” Kantha Shelke, a spokesperson for the Institute of Food Technologists, explained to Forbes. These reactions continue to take place in the fridge, helping the individual flavors meld together and resulting in a fuller flavor the next day. Pizza also maintains its structural integrity, unlike less-desired leftover candidates (salad, for example). This is largely thanks to the tomato sauce, Maureen Cooper, a chemistry lecturer at Stirling University, told The Independent: “The fat molecules [in the cheese] are repelled by the water molecules [in the sauce], so the pizza doesn’t turn soggy.” Standard pizza dough also consists of fibers that trap water molecules, preventing moisture from causing the crust to wilt. 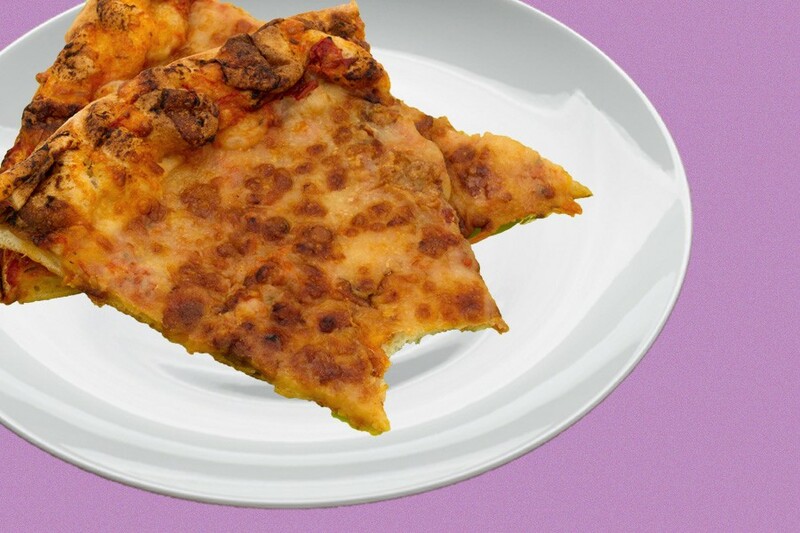 Because of that, larger pizza chains and casual pizza parlors often provide a better day-old slice than their fancier counterparts, since their ingredients tend to contain more preservatives (whereas a farm-to-table slice topped with fresh vegetables is destined to become a mushy mess overnight). So in Wiener’s opinion, for the ideal next-day slice, a thick pizza topped with low-moisture mozzarella is your best bet. Now excuse me while I order a slightly crappy pizza and put it directly into the fridge.